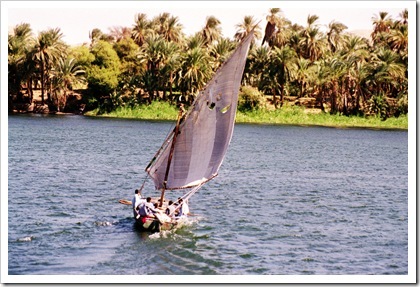 Today I thought I’d take you on a virtual trip to Egypt, on a trip down the Nile. 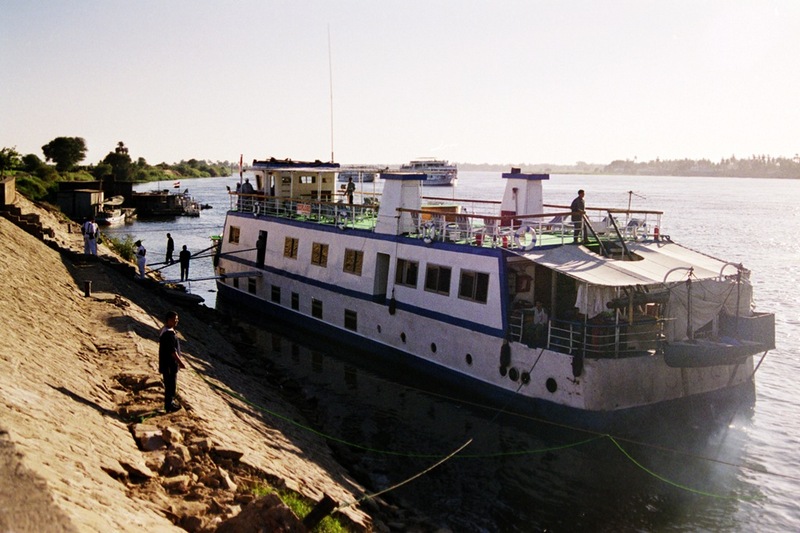 Our ship was small, and it looked a little plain compared to some of the other floating palaces, but it was very comfortable. 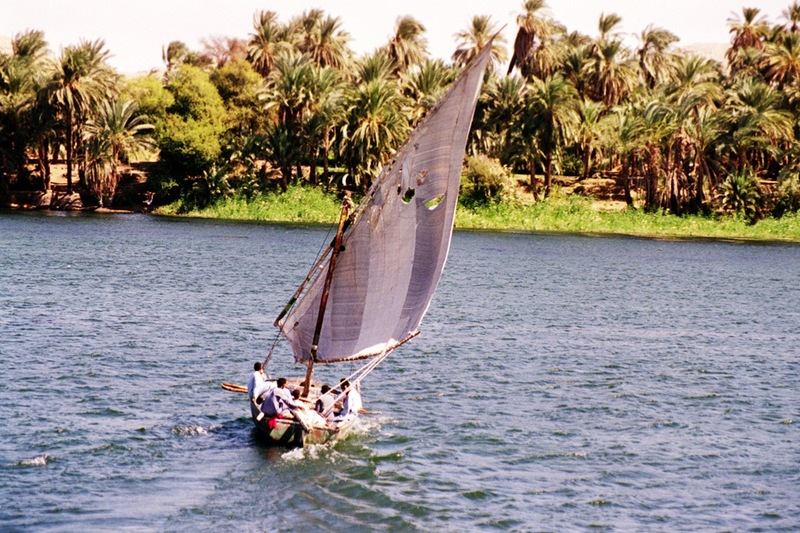 We saw lots of felucca, the traditional sailing ships. 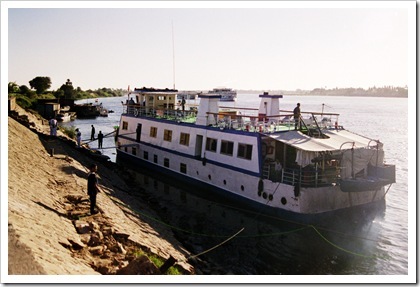 Each day we stopped to view various temples and ruins on the banks of the Nile. 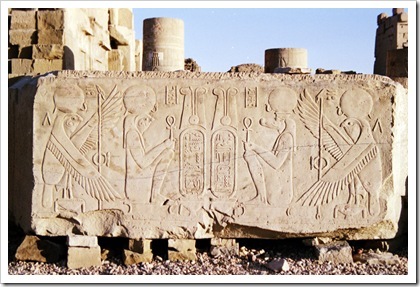 This is at Kom Ombo Temple. 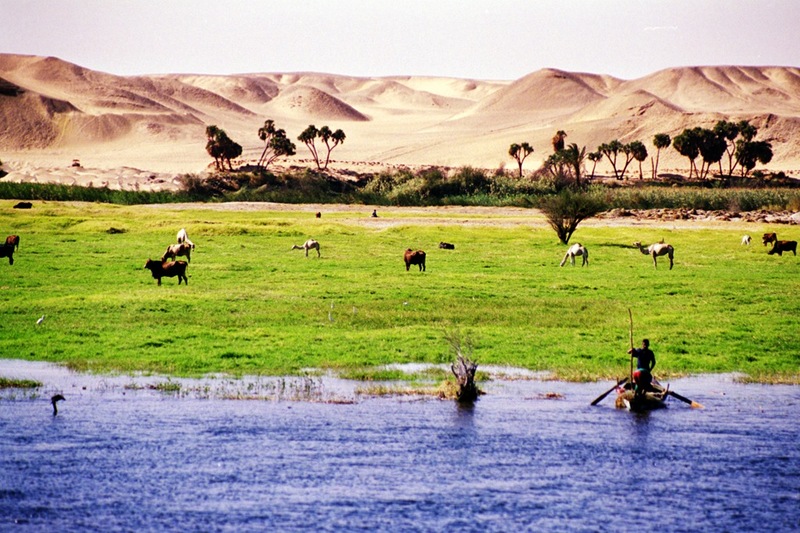 We sailed past green islands, used for grazing camels and cattle, and looked to the deserts beyond. It made for a glorious contrast of colors. 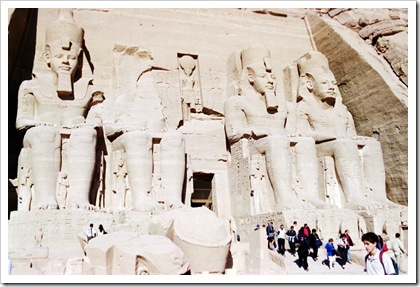 Once we reached Aswan, we organized a trip to the fantastic Abu Simbel. This entire site was moved to make way for a dam. 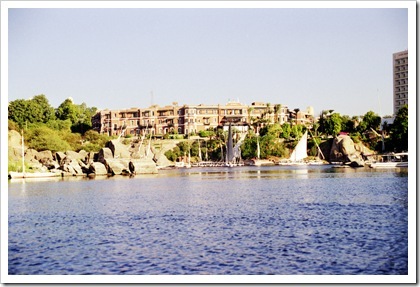 We also visited the Old Cataract Hotel when we were in Aswan. 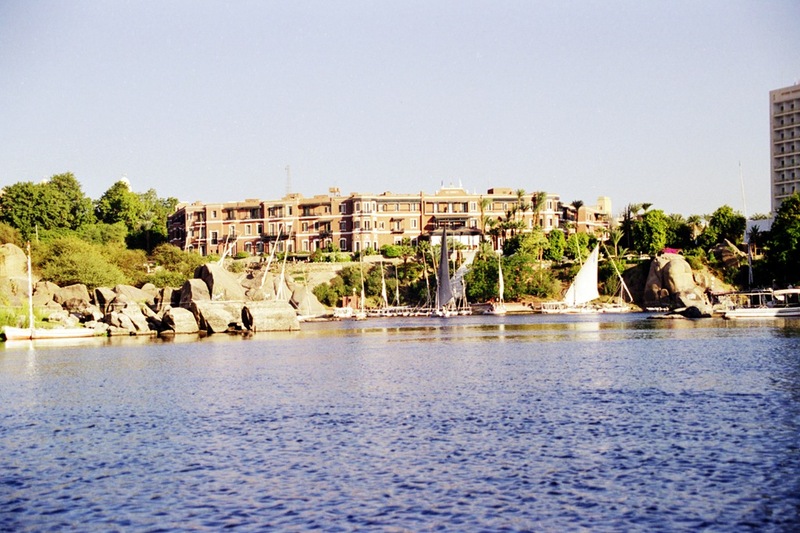 Agatha Christie stayed here and wrote Death on the Nile. 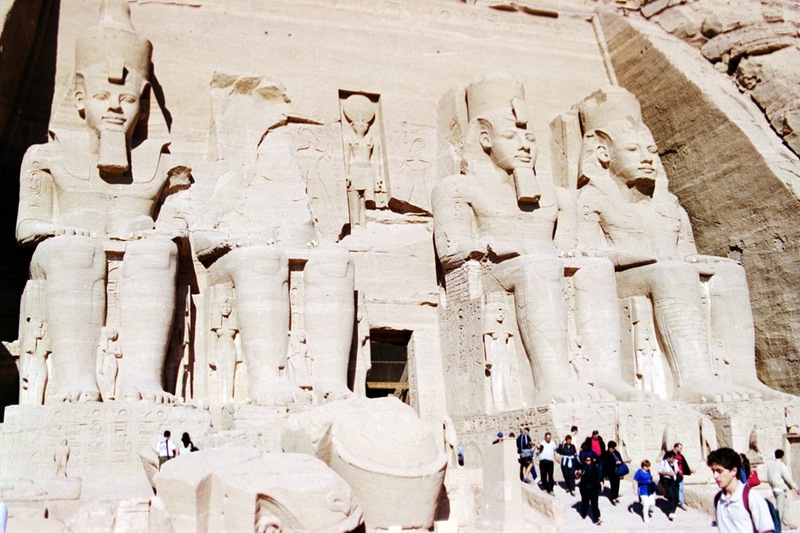 The Mummy is one of my favorite movies, so I was predisposed to enjoy a visit to Egypt. We had a lot of fun, exploring both the old and the new, and I highly recommend the experience if you ever have a chance to visit. My guest today is Rebecca Royce. She’s been on tour with her book Love Beyond Sight, and this is her last stop. 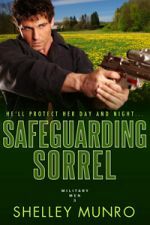 Since her hero is a wounded one, I asked her to tell us about writing a disfigured character. Comment on this post, and enter a draw to win a $50 Amazon Gift certificate. Welcome, Rebecca. I didn’t start writing Samuel in Love Beyond Sight. I started writing him in Love Beyond Sanity, in the book that where I first introduced Eden. She needs help and a voice that she doesn’t recognize fills her mind to save her. But as I write things as they come to me, I knew the voice was Eden’s soul mate but even I wasn’t entirely certain whom he was. So I waited until he spoke to my muse and when he came it was with so much sadness that I wanted to write his story immediately so I could give him a touch of happiness in the midst of his crazy existence. Samuel was raised human, as all but four of the Outsiders were. His understanding of his powers came early as an Outsider ancestor who explained to him in a vision who he was and what he could do contacted him. But, for the most part, he lived a very happy, somewhat normal existence. Until the day Sebastian caught up with him. For those of you who have perhaps not read the first three books, Sebastian is a demon whose purpose for being on Earth is to destroy the Outsiders and enslave humanity. It turns out that Sebastian and Samuel have encountered each other before. As a teenager, before he’d come into all of his powers, Sebastian locked Samuel in a closet and set him on fire. He nearly died. But—its not so easy to kill an Outsider and the fact that he didn’t die meant that his body tried to recover. The fire, laced with magic, made it impossible for him to entirely heal. He was left forever scarred. Even his own family couldn’t look at him without wincing. Eventually, he went out on his own. The good news? Samuel can change his face. Its one of his powers. He can become any one he can touch. For a small amount of time. Its not a permanent fix but it allows him to get through life. He has no intention of letting Eden ever see his real face. Ever. But that happens and its wonderful…for him. For her, however, it doesn’t work. She’s made to love Samuel…not the fake versions of him that she keeps seeing. They can be together but she can’t love him. For me, writing Samuel was challenging because he’s strong, tough, and smart. He comes up with ideas and is pivotal in what happens with the story arc of the series. Yet…he has this weakness he cannot get past and it had to be done in such a way that the reader could feel for him without feeling pity for him. I think, ultimately, that Samuel turned out exactly as he should have. I fell in love with him when I wrote him and I hope the reader does too. 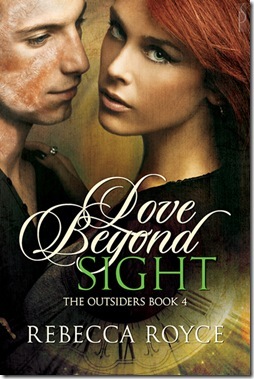 Blurb: In Love Beyond Sanity, Eden Roan awoke in a mental hospital, unsure of how she got there. Nearly discovered by a demon, she is rescued by a voice in her mind who saves her life by transforming her figure into something the demon doesn’t want to look at. The voice tells her she is his but that they will never, ever meet. As time progresses, Eden becomes more and more convinced that the voice is just her imagination playing tricks on her. It can’t possibly be her destined soul mate. Samuel Quinn was horribly disfigured by the demon when he was a child. He can’t stand looking at himself and does not want Eden to see him. Luckily, his powers allow him to hide himself using other people’s features as his own. But when Eden needs him, Samuel will have to step forward to save her even if he can never let her see the real him. Writers spend a lot of time waiting for decisions from editors, agents, publishers. Hurry up and wait. I’m not very good at waiting. Just saying, but patience or impatience makes a good topic for a Thursday Thirteen. 2. Patience is the knot which secures the seam of victory. 3. A little impatience will spoil great plans. 4. Patient men win the day. 5. He who would climb the ladder must begin at the bottom. 6. The string of a man’s sack of patience is generally tied with a slip knot. 7. Long looked for comes last. 8. Patience is a plaster for all sores. 9. 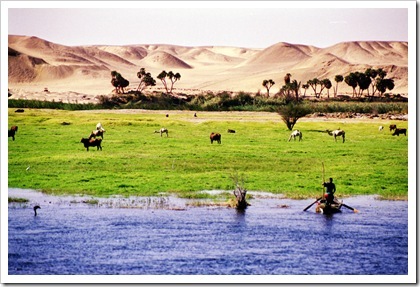 Nature, time and patience are the three great physicians. 10. Patience is a flower that grows not in every one’s garden. 11. We must learn to walk before we can run. 12. All things are difficult before they are easy. 13. An oak is not felled at one stroke. Source: The Penguin Dictionary of Proverbs by Rosalind Fergusson. New Zealanders and Australians celebrated ANZAC day today – the day where we remember our fallen soldiers, and in particular, the soldiers who lost their lives at Gallipoli during World War One. 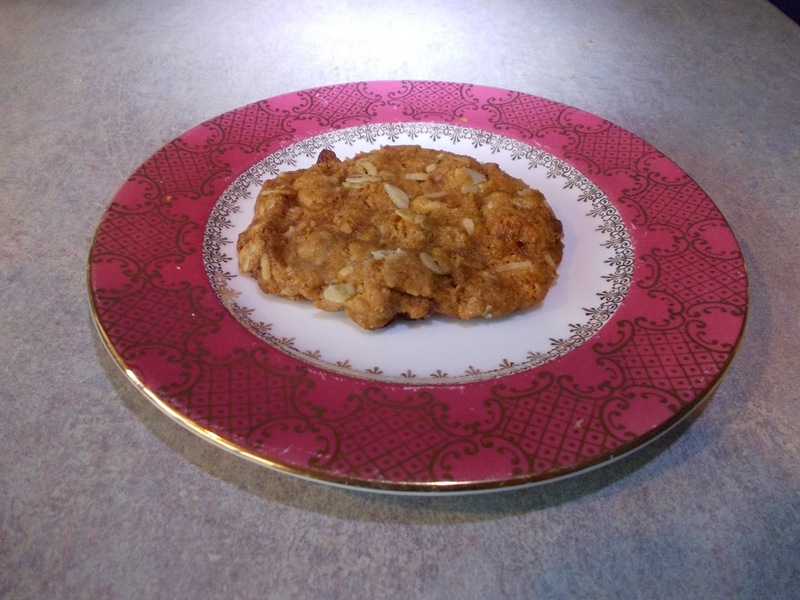 At this time of the year I like to bake a batch of ANZAC biscuits. It’s said that mothers and wives baked these biscuits and sent them overseas to soldiers during the war. 1. 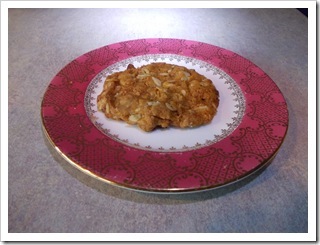 I added a new dried cranberries and some sunflower seeds to my biscuits for a modern twist. 2. The biscuits will be quite soft when they come out of the oven. Let them cool a little on the tray before removing them. The white wedding dress made with silk and lace is a twentieth century tradition, and the cynical among us might say that those who work in the wedding industry have embraced the elaborate white gown for commercial reasons. In past centuries, couples would wear their best clothes to their wedding, which meant they wore colors other than white. 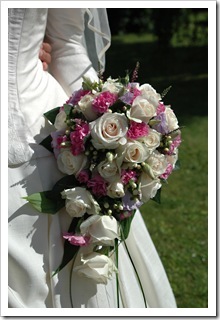 In fact sometimes it was difficult to discern the bride and groom among the crowd of well wishers. 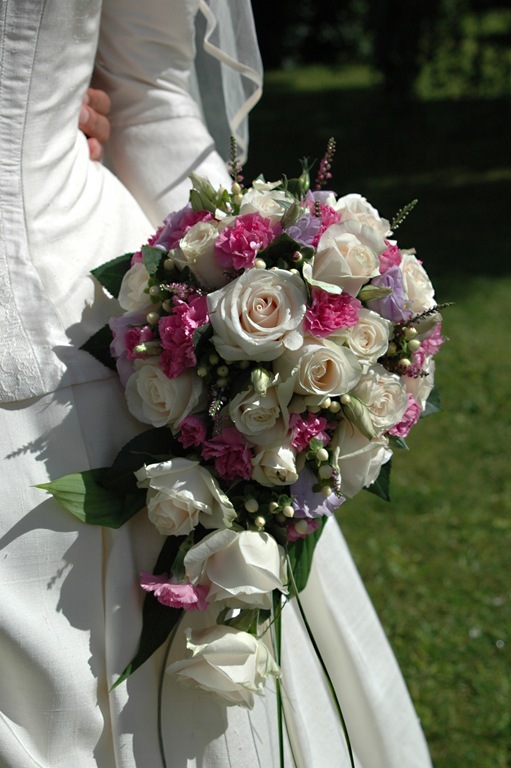 There are also several superstitions associated with wedding dresses. Most of us are probably aware of the one in which it’s said to be unlucky for the groom to see the bride in her dress before the wedding. It’s also said to be bad luck for the bride to make her own dress. Sometimes brides of the past didn’t wear a dress but married in their chemises or shifts. This meant the bride came to the wedding with nothing, and more importantly to the groom, he didn’t acquire responsibility for the bride’s debts. The above rhyme made me laugh because my dress was pink. What color was your wedding dress? Or if you’re single at present, what color would you like? Thirteen Fad Diets to Try – or Not! A few nights ago one of the news items on television was about the new tube diet that is sweeping America. It sounded pretty gross to me, but it did give me an idea for this weeks Thursday Thirteen. 1. Grapefruit diet – a low-carb diet featuring grapefruit/grapefruit juice with every meal. 2. Cabbage Soup diet – a lot of cabbage soup is consumed. 3. Beverly Hills diet – based on a theory that the body needs the enzymes found in certain foods in order to digest food properly. 4. Atkins diet – this is a very popular diet plan. It’s based on the theory that when we reduce our intake of carbohydrates our body must seek another source of energy and will burn fat. 5. South Beach diet – this diet is similar to the Atkins diet, but it balances good carbs against bad carbs. It could be argued that this one is not a fad diet because it is nutritionally sound. 6. Blood Type diet – food eaten is suited to a person’s blood type. 7. Paleo diet – the dieter eats the same foods his ancestors ate rather than a modern diet. 8. Negative Calorie diet – foods are eaten that use up more calories during the digestion process than they actually contain. 9. Apple Cider Vinegar diet – it’s claimed that regular consumption will cause fat to be burned rather than stored. 10. Tapeworm diet – a tapeworm is ingested in order to lose weight. 11. 3 Day diet – a low calorie diet done over three days. 12. Israeli diet – done over eight days. The dieter eats apples, cheese, chicken, salad. Each food is eaten for two days before moving onto the next food. 13. Tube diet – the new diet where a person has a tube stuck down their nose and they’re given a limited amount of calories via tube. When it comes to diets, my preference is to limit my calories and increase the amount of exercise I do each day. With this type of diet it’s possible to lose weight at a sustainable pace and keep off the weight. I think the tube diet sounds gross, and personally, I prefer to physically eat my food and use my taste buds!! What do you think of the tube diet? Would you try the tube diet? Just a quick post today since I have important writing stuff to do. 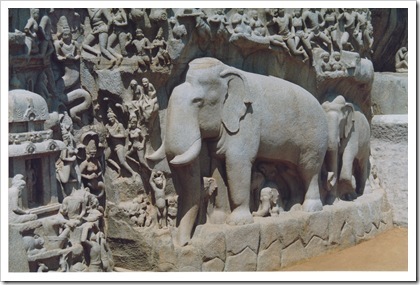 During our visit to Mahabalipuram, in Northern Tamil Nadu, India hubby and I were wandering around the various temples taking photos. 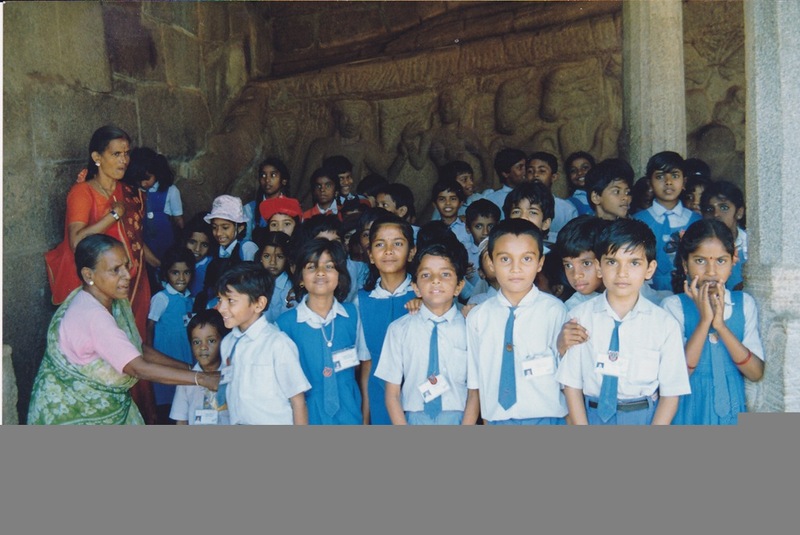 We came across this group of students who were also visiting. 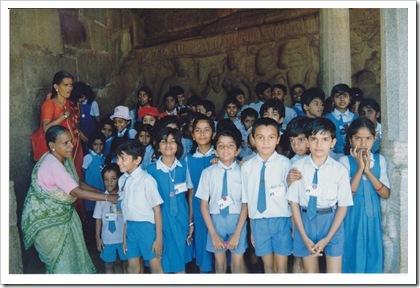 The teacher (the lady in the sari) barked out a command. All the kids lined up and grinned at us while the teacher indicated we should take a photo. We were frightened to disobey cause she had a stick! She was one fierce lady. 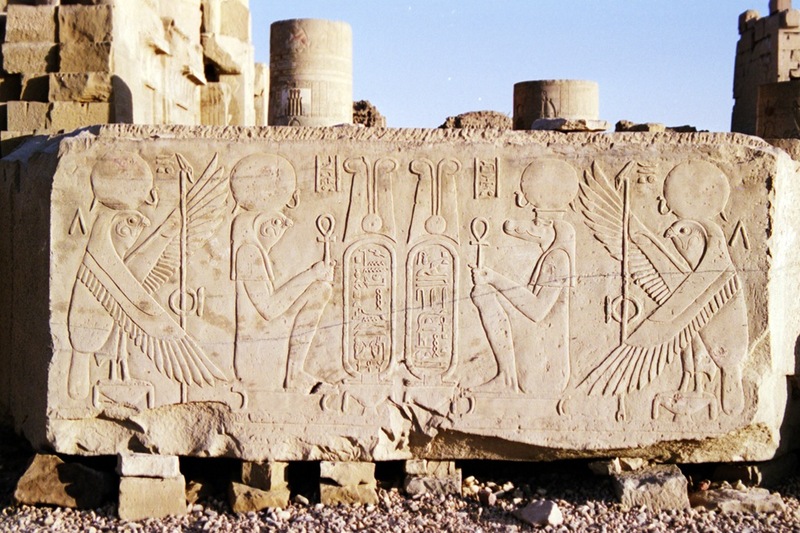 The top photo shows some of the awesome carvings. 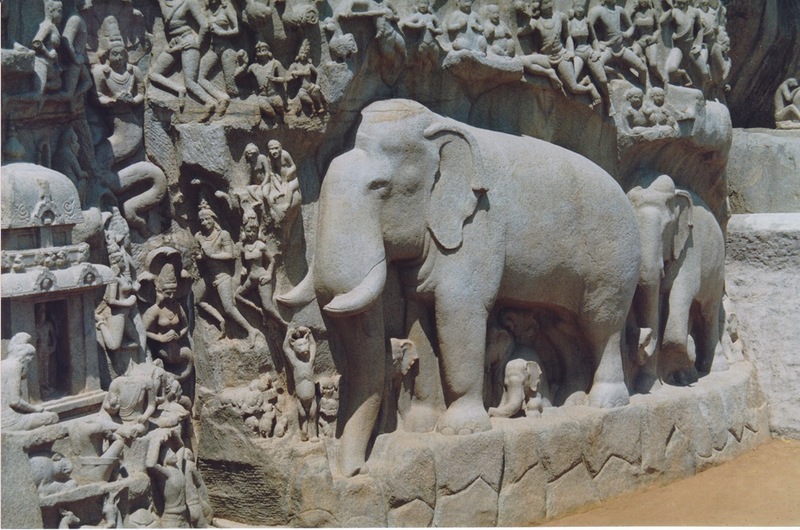 I have a soft spot for elephants. Notice the detail. Just amazing. 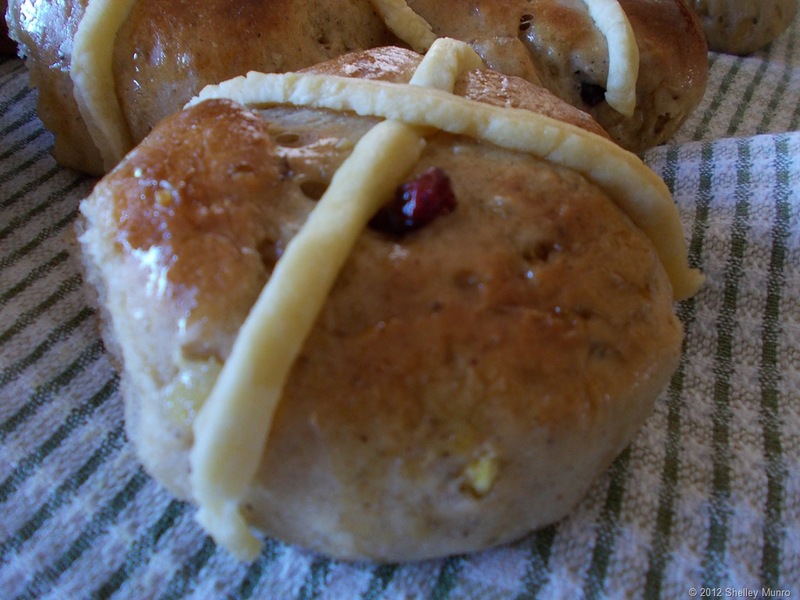 Every Easter my mother used to make hot cross buns. I remember them being delicious and much better than the purchased ones. This year I decided to try making my own. They turned out quite well although it was a very labor intensive business. Here’s the recipe I used, which comes from one of New Zealand’s famous cooks, Alison Holst. The recipe is divided into four parts. Measure the milk, hot water, and sugar into a bowl. Warm to blood temperature if necessary, then sprinkle the yeast granules on top. Mix together. Stir in the flour, cover with a clean tea towel and leave to rise in a warm place. Cream the butter and sugar in a bowl. Add the mixed spice, nutmeg, vanilla and egg. Once mixed add the dried fruit. When the yeast mixture has doubled in size add it to the creamed butter mix. Add the two – three cups of flour. (You might not need all of this flour. My mixture needed all of the flour). Mix well and tip out onto a floured board. Knead the dough. At first it will be sticky and difficult to work with. Add a little flour if necessary and knead until silky and it springs back if pushed with a finger. Cut into four then cut each quarter into six. Shape each piece into a ball and place on a greased tray or piece of baking paper. Cover with plastic wrap and place in a warm place to let the buns rise to twice their original size. This will take from 15 – 45 minutes. Rub the butter into the flour and add enough water to make a stiff dough. Roll out thinly on a floured board, and cut into strips to make crosses for the tops of the buns. 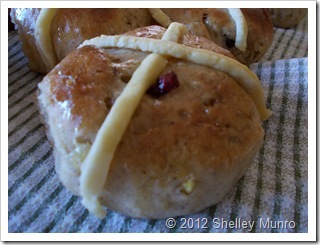 Brush the buns with milk or beaten egg then lie the crosses over the buns. Bake the buns uncovered at 225 C (435 F) for 10 – 12 minutes until lightly browned. Warm 2 Tablespoon golden syrup and 1 Tablespoon water and brush over the top of the buns as soon as they are taken from the oven. Leave for 3 – 5 minutes and enjoy! Do you enjoy hot cross buns? Have you tried making them? 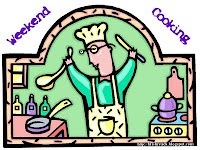 Weekend Cooking is hosted by Beth F Fish and is open to anyone who has any kind of food-related post to share: Book (novel, nonfiction) reviews, cookbook reviews, movie reviews, recipes, random thoughts, gadgets, quotations, photographs. If your post is even vaguely foodie, feel free to grab the button and link up anytime over the weekend. You do not have to post on the weekend. Please link to your specific post, not your blog’s home page. For more information, see the welcome post. 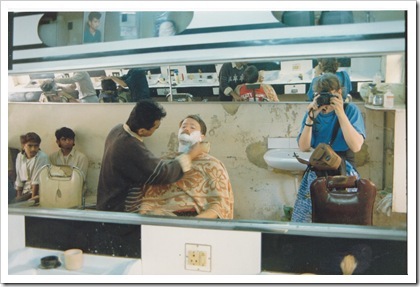 During our visit to India, hubby used to visit the local barbers for a shave. 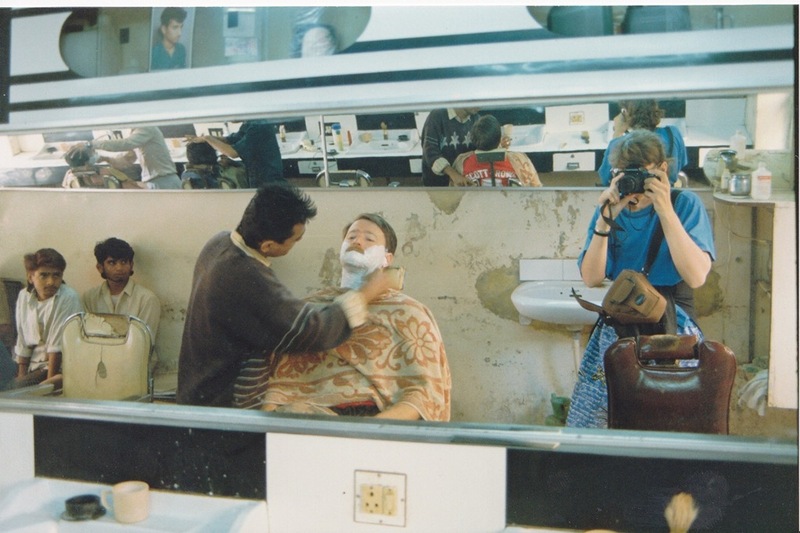 Most of the guys traveling with us did, and they all used to rave about the great shaves they received. Shaving seems quite a social occasion in India. We’d walk into the barber shop, and if there wasn’t an empty chair, they’d usually shunt someone out to make room for my hubby. They’d also clear a space for me to sit, then proceed to watch us both avidly while making comments to each other. LOL It always made me feel like a film star! Next would come hot towels, shaving foam and a cut-throat razor. There’s a scalp massage and at the very end they slap on the aftershave. When I say slap, I mean slap. Maybe it was to make sure hubby was awake! I used to enjoy the process as much as Mr. Munro. The people watching was excellent, and I think we gave the locals something to talk about for weeks afterward. Would you trust a man welding a cut-throat razor?